Nearly two years ago, Findmypast announced that they had won the bid to work in partnership with the National Archives to digitise the 1939 Register for England and Wales. Many researchers hadn't heard of the Register before, but for those in the know, this was a huge bonus and would make a big difference to our research. Since then Findmypast have conserved, scanned, transcribed and digitised over 1.2 million pages from 7000 volumes representing over 41 million individual entries from over 2000 residences. Initially only available on a pay-per-view basis, the 1939 Register is now available to all annual Worldwide or United Kingdom collection subscribers. Those that subscribe to the US, Australia and New Zealand, or Ireland collections will still have to pay per view - as will those who only subscribe on a month-to-month basis. 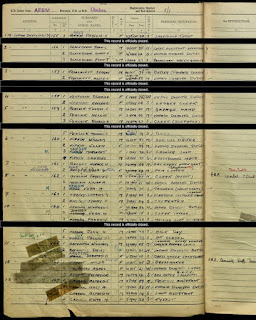 The Register was a snap census taken on 29 September 1939 at the start of Second World War to be used to issue identity cards, plan evacuations, establish rationing and inform conscription and other wartime activities. Post-war it went on to form the basis of the NHS and the Register was maintained and updated by them until at least 1991. Second World War - the next available census will be the 1951, which is closed until 2052. The records that are still officially closed are those that were born less than 100 years go, and are believed to still be alive. Researchers finding such entries that they believe to be incorrect can apply to have them opened. 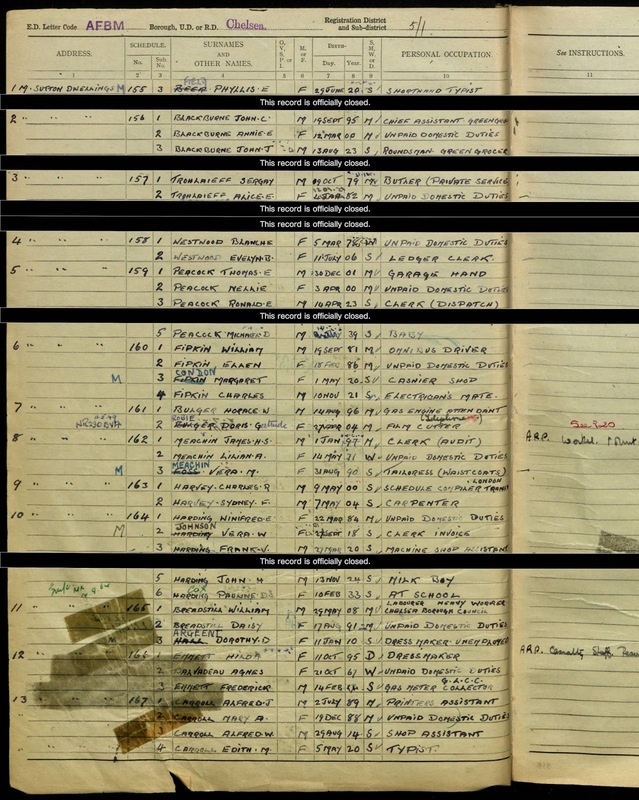 Watch Findmypast's video tutorials to get the most out of the 1939 Register and read more information about the Register on the National Archives information page, and watch their webinar.